For all vape pen style vaping devices lovers Smoktech company has a delightful offer. 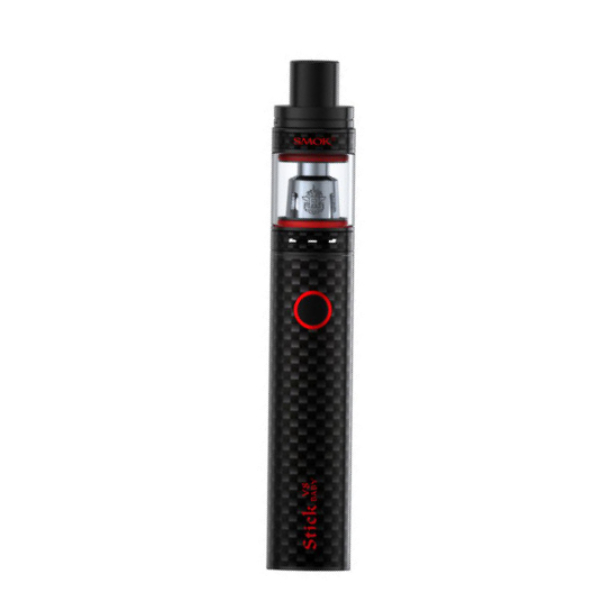 The SMOK Stick V8 Carbon Baby kit combines compact size, durable material, and elegant design – everything for convenient utilization of the device. It will bring only pleasure and no inconvenience into your vaping experience. The V8 Carbon Baby Kit is a smaller version of the Stick V8 Carbon Baby kit and measures 22mm in diameter. The same as its larger brother the Baby kit uses carbon fiber material. It is stronger and more durable. Moreover, this high-quality material has high density and features corrosion resistance. As a result, the sturdy construction will protect well the e-cigarette from accidental damages. Being a compact-size vaping device, the Stick V8 Carbon Baby integrates 2000mAh battery. Intelligent LED indicator will help you to track the battery life for timely recharging. The voltage range is 3.4V – 4.2V. 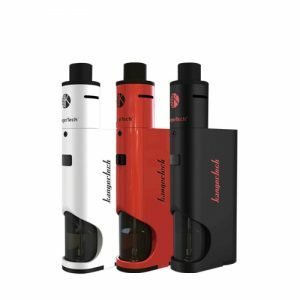 Besides, this pen-style device comes with the TFV8 Baby tank. 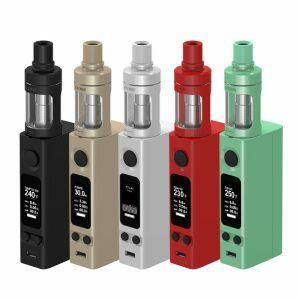 It is capable of holding 3ml of e-juice (2ml – EU edition). Thanks to the top filling system, you can easily refill the tank. 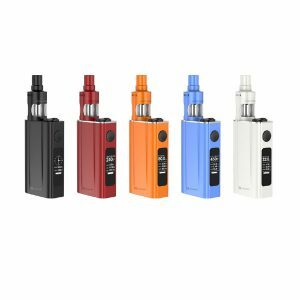 Also, it features an adjustable airflow system, which allows adjusting the airflow according to your vaping needs and preferences. The tank works with V8 Baby-M2 core dual coils. Their high performance guarantees the pure taste of the e-juice while vaping. All in all, the Stick V8 Carbon Baby kit with its durable carbon fiber construction, ease of use and nice functionality worth thinking about.